We encourage all our clients to consider purchasing insurance prior to their travels for the extra piece of mind. Be sure to double-check, with your credit card company or other current private insurance, what coverage you may already have. If you are interested in any of the following options please let us know and we would be happy to give you the information you require to get in touch with the insurance company you choose. Liposuction in Thailand is not and doesn’t claim to be a Health and Travel Insurance broker or agent. We do not derive commission from your participation to any insurance plan. It’s simply another add value service we provide to our clients to make sure they are taken care of. 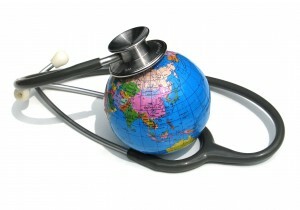 If you currently have health insurance you should contact them to see what, if any, international coverage is provided. Today, there are very few medical insurers who will pay for services provided outside of their home network and country of operation. Even while you should anticipate having to cover most or all of these costs on your own, you should nevertheless contact your medical insurer to see whether a necessary medical procedure can be fully or partially covered, in particular if your only other option is to have a more expensive procedure done in the U.S. or Europe. Be sure to determine ahead of time whether or not the condition being treated can be considered a “pre-existing condition” by your insurer, as they will not cover it if defined as such. This is the travel medical insurance you are familiar with anytime you travel outside of the country where you live. It covers most medical emergencies and usually includes getting you and your family home should it be necessary. Please keep in mind that if you have a new medical condition diagnosed just prior to travel that your may not qualify for coverage. Also, if you take prescription medications, check with your policy and your family physician regarding restrictions on the addition of new medications and/or changes to your existing prescription prior to travel. This insurance does not cover any aspect of the medical procedure or treatment you are traveling for. That is what Medical Complication Insurance is for. You may also be eligible to receive travel insurance if you have previous medical condition. Just as it says, this is extra insurance you can purchase which will cover the need to cancel your trip or loss of baggage. They can be purchased together or separately. Again, check with your credit card company as many do offer this with their membership if you purchase your trip with the credit card. This is the insurance that covers you for complications that may arise from the procedure you are travelling for. It is a highly specialized travel insurance created due to the increasing demand for coverage for medical tourists. Please check with the policy to ensure your procedure is covered before signing on. This does not cover complications due to physician malpractice. Malpractice insurance focuses specifically on coverage for injury or complications that arise from physician malpractice. It does not cover complications that do not relate to physician negligence or substandard practices. This insurance option is usually packaged separately from Complication insurance by the insurance companies. We have partnered with Seven Corners to provide you a complete health and travel insurance package. Despite the significant savings that taxpayers can derive from traveling abroad for healthcare, state Medicaid programs continue to exclude offshore healthcare from their coverage. This makes it difficult for patients to finance their medical travels, as they must rely on their own funds. Medicare has similar limitations. Benefits are provided only within the United States. This forces approximately 40,000 to 80,000 American retirees residing in Mexico to pay for healthcare on their own while in that country. To receive healthcare benefits from Medicare they must travel back to the United States. In addition, Medicare requires patient cost sharing which is equivalent to 20% above a patient’s deductible. This places a burden on healthcare recipients, particularly seniors and retirees. We welcome the opportunity to give you the information that you need to make the most informed decision as you consider your medical treatment in Thailand.